A dozen buggy activities developed by the Bug Lady herself and adapted for the classroom teacher. Background information on insects and their relatives. 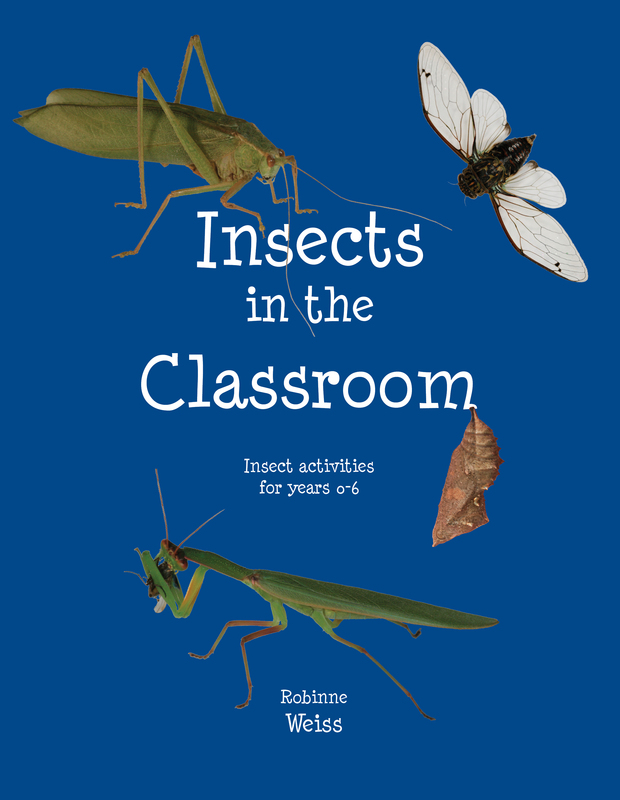 Information on how to care for live insects in the classroom. Insect-themed colouring sheets and worksheets. Student-friendly insect identification keys developed for the New Zealand school ground. Available on Amazon.com or contact Robinne directly to order a copy.